Wow!!! 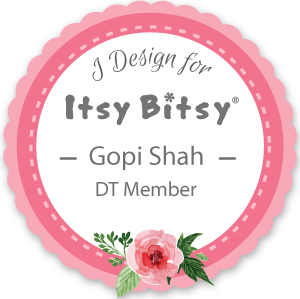 I made it to the top 3 of January Challenge on Bling It On Challenges through this project. The challenge topic was New Beginnings. Hey folks!! Wish you all a very Happy, Prosperous & Creative New Year!!! Hope you all had fun with you friends and families on New Year. Its been really long, I have post anything on the blog. Completely lost track of the events, as life became too hectic suddenly.... Even the New Year wishes are after almost a month.... But i believe in 'Better Late Than Never'!!! Diaper Castle for your lovely little Princess!!! 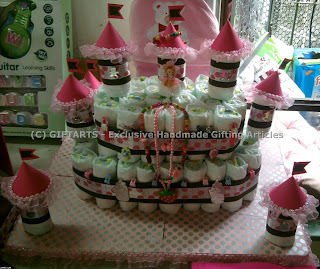 The Castle is made out of 40-45 diapers. Out of these diapers around 35 can be used for its actual purpose. 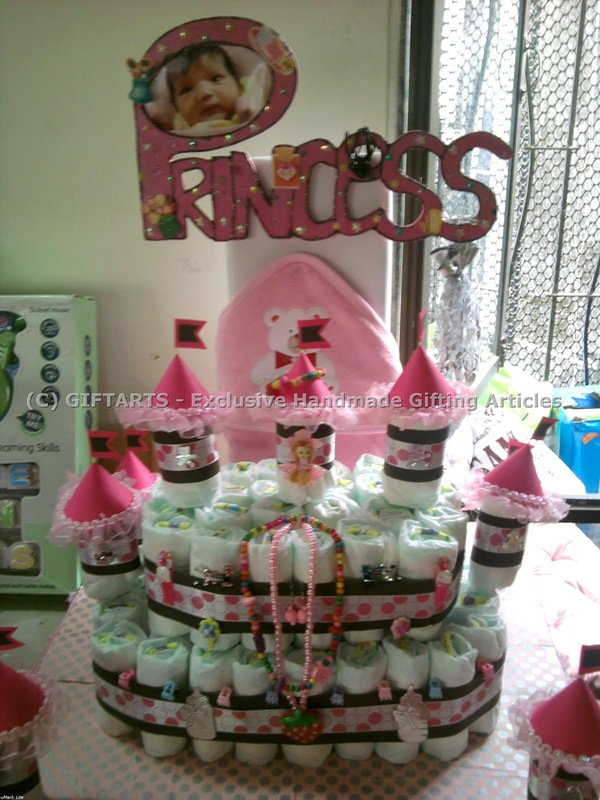 The Castle can be personalised with the baby's Name tag and photograph. 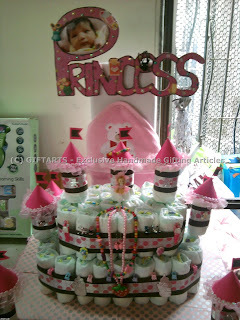 It can also be highlighted using the baby accessories like hair clips, hair bands, necklaces and earrings. It gives me immense pleasure, whenever i create this piece of art. This same castle can be made with blue shades for your lovely little Prince. I hope you guys like it... Please leave a comment.. :) Its such a fun reading all the comments..
Hi Gopi, a gr8 piece of art!! Keep it up!! I would suggest not to keep photos of babies with closed one rather with smiling and opened face!! Thanks Vipin for yr suggestions. will definately keep it mind for the next time..
Oh wow this is amazing, I've not seen anything like it before wow. Thanks for joining us at bling it on this month, it fits the challenge perfectly..
thanks you so much for commenting. it means a lot and im happy that this project fits the challenge perfectly..
super project and how clever!! Wow awesome creative creation.Love this.